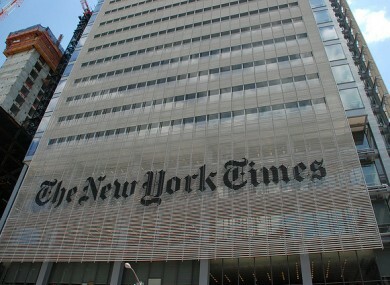 THE NEW YORK TIMES is spending between $40 – $50 million to design and construct a paywall, but reports are emerging that it is easy to break through. If you read fewer than 20 articles a month, the site remains free, but once you go over the limit, you get a message telling you you need to pay to read more. The article actually loads in your browser, but is covered by an overlay obscuring it. The New York Times company has been working to fix around 200 glitches in the paywall technology, Bloomberg reports. The paywall will launch in the United States in one week’s time and is currently only live in Canada. Email “New York Times paywall "can be defeated"”. Feedback on “New York Times paywall "can be defeated"”.